WordPress for iOS: New Visual Editor and More! What new in WordPress 4.1? Best Genesis child themes collection for business site and bloggers to create a SEO optimized website with simple and user friendly layout. Are you planning to create a new website or blog on WordPress? You must have a look at Genesis Framework and Genesis child themes from StudioPress because Genesis is considered as one of the best framework available for WordPress. Genesis is used by millions of WordPress users across the globe. So, find some great Genesis Child Themes here in this list and create a great site today. If you want to create a SEO friendly, fast loading website look no further, Genesis has all it requires to create a great site. We have collected the best Genesis child themes available in the list of 40+ best Genesis child themes. Remobile a Genesis child theme designed with beautiful typography top of mind. With the typefaces of this theme, your site will look amazing and your visitors will have a memorable experience. Daily Dish is a new simple Genesis child theme that is designed to present your content like it’s the most appetizing dish at your favorite restaurant. Though it is named as a theme for food related site, it can be used for any niche blog which will help you to present your content to best of it’s potential. One of the recent and best Genesis child themes, Parallax keeps your page content in proper narrative order, giving you a simple vertical design for easy visual eye movement and flow. Education Pro is a WordPress theme built on Genesis 2.0 that is designed specifically for the needs of educational institutions. It’s a great option for education related websites, Education Pro is well optimized. Generate Pro is a Genesis child theme which is focused on email marketing, it is a fully responsive WordPress theme with 4 color styles, 3 layout options, HTML5 markup and lots more. Deborah is a great looking Genesis child theme which has a superb professional design and some impressive features. It is a mobile friendly and integrated with social media. A good looking, one of elegant premium Genesis Child themes, Centric Pro bring in a professional feel to your WordPress site. The homepage of the site is designed to give it a very professional and modern touch. Sixteen Nine is one of the best and most popular Genesis child themes created by Studiopress. 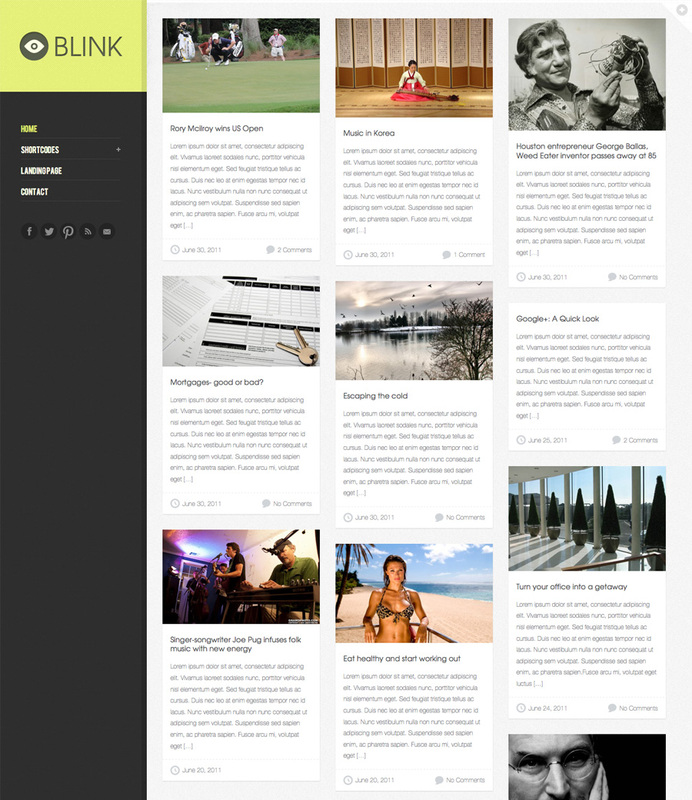 Sixteen Nine theme is simple and user friendly. A custom background, mobile responsiveness, and HTML5 are the base on which you can build a look for your site that rises above all others. AgentPress Pro, a new release from StudioPress is a minimal real estate Genesis Child Theme. A fully responsive WordPress them to work perfectly with Genesis framework. If you deal with real estate as an agent or any other capacity and want to come up with your own real estate website, you need to wait for a minute and check out this amazing new theme. Sarah Ellen is a Genesis blog template designed for feminine blogs and websites. This WordPress theme comes in a nine different color options and built in styling for an online store, recipes, ads, and email subscriptions. A simple, minimalist Genesis child theme which helps you to optimize your content to it’s maximum potential, if you are looking for a fully responsive simple Genesis theme Balance is perfect for you. Beautiful is your canvas on which to paint whatever online masterpiece you choose … one that will undoubtedly contribute some feelings of happiness somewhere within you and those you hope to reach. The 411 Pro Theme is designed to get your information to your audience in the most visually appealing and navigationally efficient way possible. 411 pro is a responsive theme and look great any any device be it mobile phone or a laptop. Agency Pro theme is one of the best Genesis child themes, it looks great and it can easily attract customers . Agency’s smart look and ease-of-use will take your client and customer connections to the next level. Stylish online publishing has never been so easy than with the bright, magazine-style frame and amazing flexibility of the Lifestyle theme. Lifestyle’s array of smart layouts and clean design options let you express yourself with articles, videos and everything in between, while valuing your strong point of view. Epik of one of the best and modern looking Genesis child themes. If you want to create portfolios of your product or services Epik can fit in all your requirements. Take your site to the next level, and experience epic results. Susanne is a country WordPress theme designed for selling craft items and homemade goods. This Genesis child theme has five color options, lots of features, and it is SEO friendly. Eleven40 Pro Theme is one of the most popular Genesis child themes. The intelligent design of Eleven40 incorporates mobile-responsive flexibility and HTML5 to deliver the right look at the right time. Do you want to create a fully SEO optimized online magazine, look no further Magazine Pro Theme is one of the best Genesis child themes to fulfill your needs. Your online features never looked better than with the versatile layouts and media-ready design of the Magazine theme. Erling is a WordPress conference theme designed for events and trade shows. This Genesis child theme has six color options, lots of features, and it is SEO friendly. This elegant layout offers your clients and customers a premium experience to share your objectives and carry out your vision with authority. The most robust Genesis child theme on the market, (in)SPYR is responsive, includes 3 theme styles, and has a total of 6 color options. With (in)SPYR you not only get a rock solid structure, but 3 themes built right in. Rachel is a simple and responsive Genesis child theme, this Genesis child theme has four color options, lots of features, and it is SEO friendly. Are you looking for a modern looking Genesis child theme? Modern Portfolio Theme could be your answer. Put the focus on your images with the smart minimalism of the Modern Portfolio theme, a flexible, mobile-responsive layout. Build your brand using a professional, high-visibility design to frame your best work and offer the services your clients need. Joshua is a WordPress travel theme designed for travel agencies or bloggers. 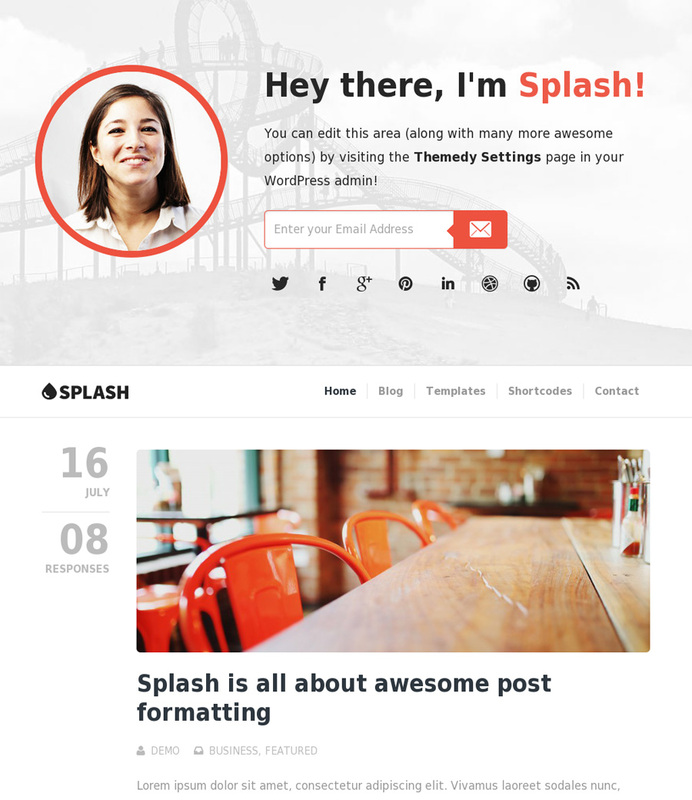 This Genesis blog theme has four color options, lots of features, and it is SEO friendly. Take the initiative for your business venture or services with the ingenuity and approachable design of the Enterprise theme. Streamline throws light on your work, letting you get back to what’s important. Focus on the things that really matter. 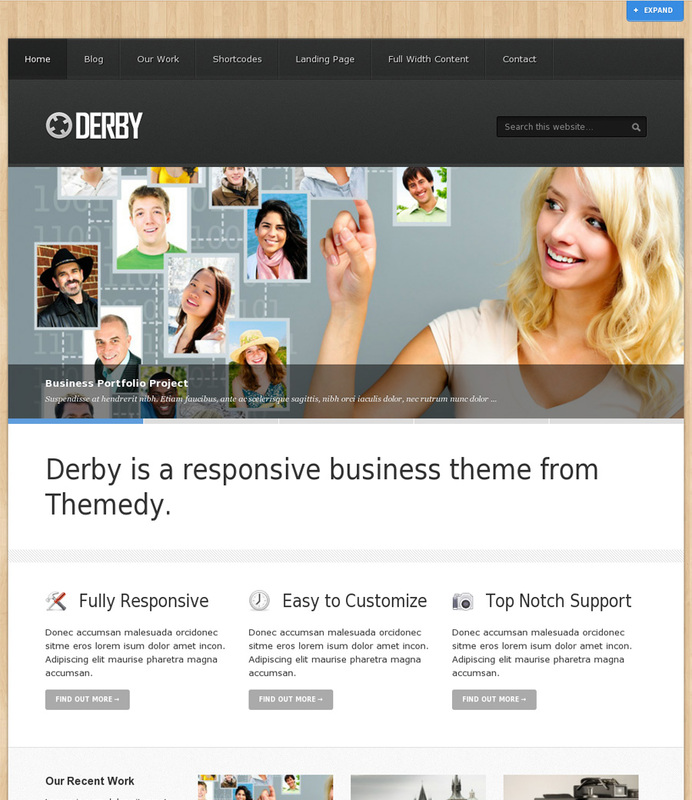 This theme comes with 3 layout options, custom backgrounds and it is completely responsive. One of the most widely used Genesis child themes, the Generate theme aims all the power and flexibility of Genesis at your most important asset. It’s designed to elegantly lead your site traffic to one action – join the email list. Lisa Marie is a WordPress hair salon theme designed for independent hair dressers, salons, or day spas. This Genesis child theme has four color options, lots of features, and it is local SEO friendly. Show your outdoor expertise with the breathtaking clarity and expansive layout of the Backcountry Child Theme. Whether you’re documenting your lifestyle, or laser-focusing your business content, the big sky’s the limit. One of the best Genesis child themes for decoration product display. The sophisticated simplicity of Decor theme helps you stage your most inspired work with sharp, mobile responsive layouts. Patrick is one of the best dark Genesis child themes, Patrick features templates for a killer home page, blog page, inner pages, and sitemap. It is preset for an image gallery and pricing table. The Corporate theme works to help you build your brand or business with a rock-solid framework and the quality assurance that all smart organizations need. A great and best Genesis child themes option to showcase your services and assets with polished, professional styling and the easy to navigate design of Corporate theme. Success begins with a solid foundation. News Pro is another great and one of the best Genesis child themes, it is simple yet effective. News theme supports all of the great articles, audio and video of your content-heavy site, with eye-popping design and simple navigation. Jono is a premium child theme designed for Genesis framework v2.0+ with a lot of flexibility that can be switch on and off without lock-in your theme. Is perfect for someone who run a Freelancer business or Agency. TechMagazine is a unique and fully mobile responsive & best Genesis Child themes exclusively made for News and Tech blogs. Built for Genesis Framework – World’s most popular WordPress Theme Framework,You can take advantage of Genesis SEO features and massive support. If you are for the best Genesis child themes with a modern magazine-style layout, this theme is a great option and it is built on an optimized mobile responsive platform. Augustus is a WordPress financial theme for individual financial advisors, planners, or small finance companies. This Genesis child theme has five color options, lots of features, and it is SEO friendly. Eshop is one of the best Genesis child themes which comes with a clean and minimalist theme designed for WooCommerce shopping system. Single is another super awesome one page Genesis child themes, it has got a very professional layout to attract your visitors. Megan is a social media WordPress theme designed for social media consultants, freelancers, or small agencies. This Genesis child theme has five color options, lots of features, and it is SEO friendly. Bijou Theme comes with 10 color options to make your site look the way you want to. One of the best child themes option if you want to create a portfolio site. A great looking Genesis child theme with 6 layout and 10 color options to make your genesis site stand out. 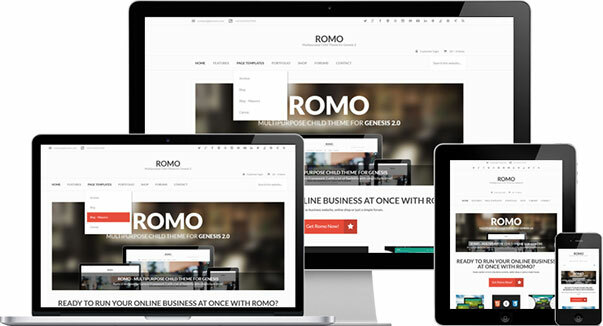 Romo is a premium WordPress Genesis child theme . It’s designed for corporate and portfolio websites with strong support for WooCommerce and bbPress. It’s easy to customize the theme with awesome features such as Page Builder, Custom Theme Options, WP Customizer and many more. Romo is also designed to be responsive to get the best view at all screen devices. Besides, HTML5 and Microdata are already supported by Genesis 2.0 to get the very best result at major search engine. Allegro is a neat theme for the Genesis framework. You can use it for business, corporate, services, product catalogue, portfolio and magazine/blog web sites. Hunter is a hunting WordPress theme designed for hunting outfitters, guides, and taxidermists. This Genesis child theme has three color options, lots of features, and it is SEO friendly. Colin is a WordPress farm theme designed for farmers who want to create a DIY style website or blog. This Genesis child theme has three color options, natural background image, lots of features, and it is SEO friendly. Gallery is a WordPress child theme for Genesis framework. Supports Genesis framework features. Suitable for Portfolio, Gallery or Showcase sites or blogs. It’s easy to customize. Christian is a church WordPress theme designed for churches who want to create DIY style websites and blogs. This Genesis child theme has five color options, multiple background images, lots of features, and it is SEO friendly. 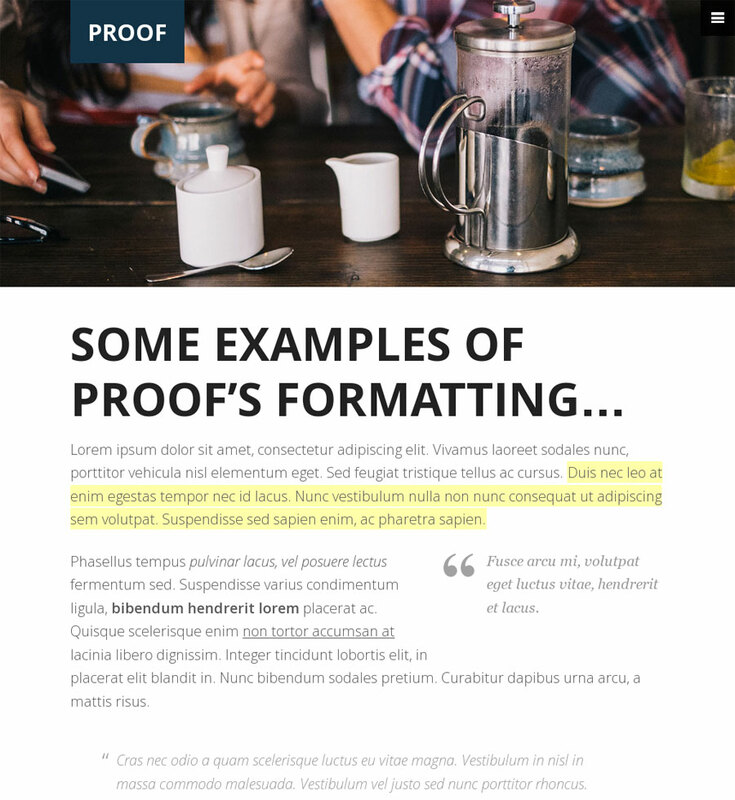 A very good looking, customizable, retina ready, “one-page” auto scrolling genesis child themes for sharing your articles alongside large responsive images. Zen is simple and minimalist theme. It includes Flexslider and have 10 colors schemes. Daniel is a super awesome Genesis child theme which is a medical WordPress theme designed for physician websites and doctor blogs. Whether you’re a photographer who needs to organize and showcase photos or a freelancer who needs to put a portfolio online, Stage offers a both elegant and personal solution for everyone, a great looking Genesis child theme. Nancy is a dentist WordPress theme designed for solo dentists or group dental offices. This Genesis child theme has seven color options, an integrated blog, lots of features, and it is SEO friendly. Mindfulness is an attractive and powerful responsive blog theme with flexible layout. Ellen Mae is a chiropractor WordPress theme designed for chiropractic websites and blogs. This Genesis child theme has seven color option, lots of features, and is SEO friendly. A simple yet good looking Genesis child theme with 9 landing page template & tons of other options to create an unique site with Genesis. If you are looking for a very professional looking Genesis child theme, quit wasting your time with bulky plugins or messy custom code and get everything you need to run a lead-generating blog in one retina-ready & device-responsive package. 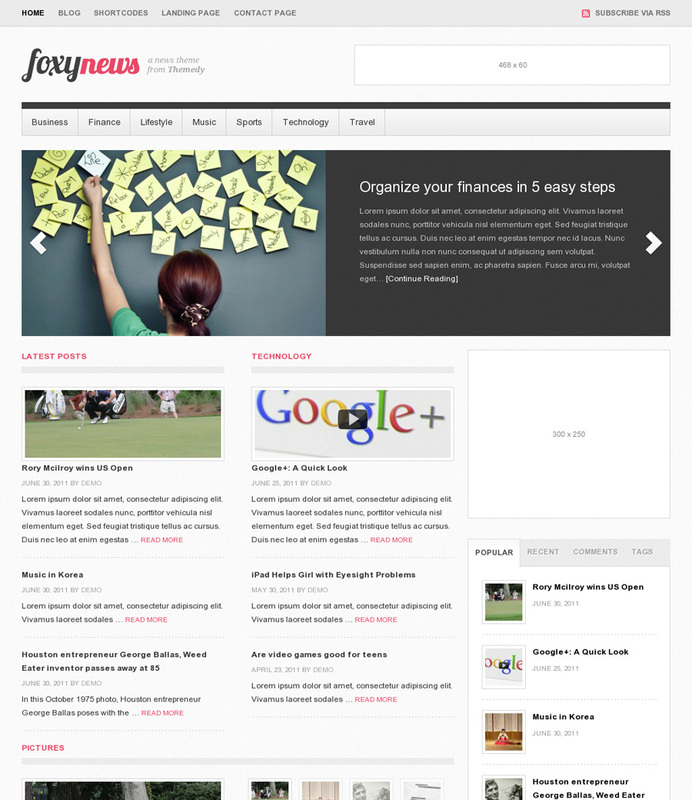 Kathryn is a WordPress accounting theme designed for CPA and accountant websites. The Genesis child theme has seven color option, lots of features, and is SEO friendly. Another simple but amazing Genesis Child Themes, Junction will have your business looking great and unique with no extra effort on your part. 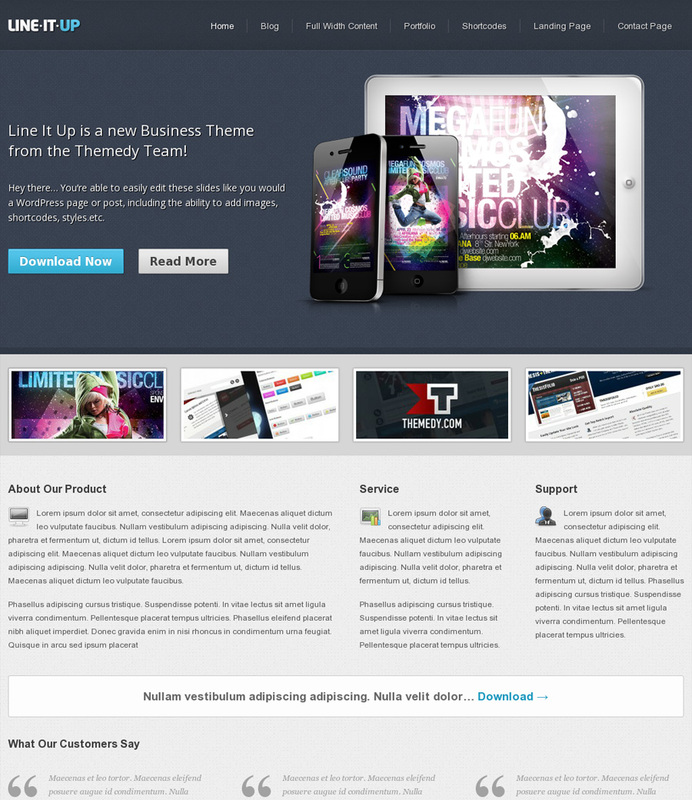 It’s a A modern, sleek and responsive theme for the business trying to stand out from the competition. 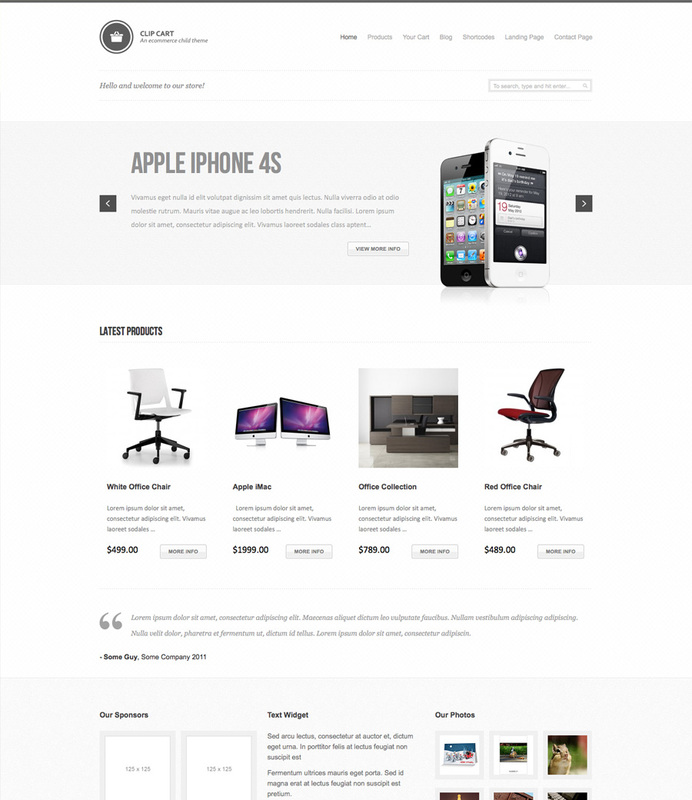 Dharma is a simple multipurpose Genesis Child theme built in Bootstrap. It comes with all the elements which you may need to create a successful website using Genesis. Anneliese is a school WordPress theme designed for daycares, preschools, or Montessori schools. A simple Genesis child theme. Smooth Post 2 retains its traditional magazine theme look that really lets your content shine. Beautiful lines, clean modern design and ample white space make this a great theme to launch on your site. It is an ideal Genesis child theme for bands or independent musicians who need to sell merch, showcase albums, play videos, and promote upcoming events. Absolute is another super awesome Genesis child themes which is created for smart portfolio just for very creative people. Erik is another very professional looking Genesis child themes, Erik comes with six different color options, multiple sidebars, widgetized home page, flexible rotator, call to action boxes, and author boxes for single or multiple bloggers. 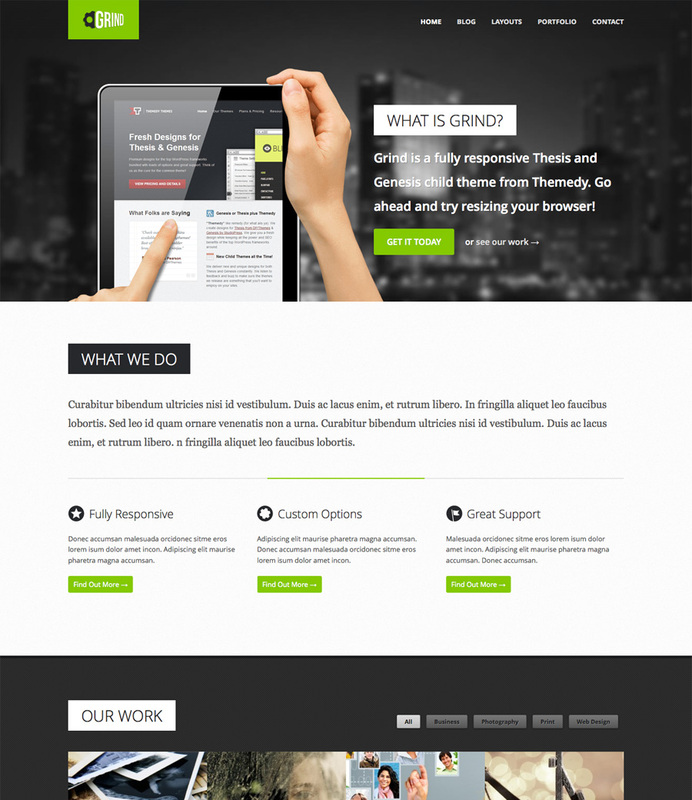 Start Theme is an awesome one page theme for Genesis built with Bootstrap and Parallax. I’m you will like the look and feel of this theme. Showcase your latest portfolio pieces or anything else you can think of. Loaded up with great options and features, the all new Readyfolio adds what you need to really get the most out of your Genesis site. Lillian is a premium WordPress music theme designed for the Genesis Framework from StudioPress. Novo is a free Genesis theme that combines modern flat design and minimalism style. 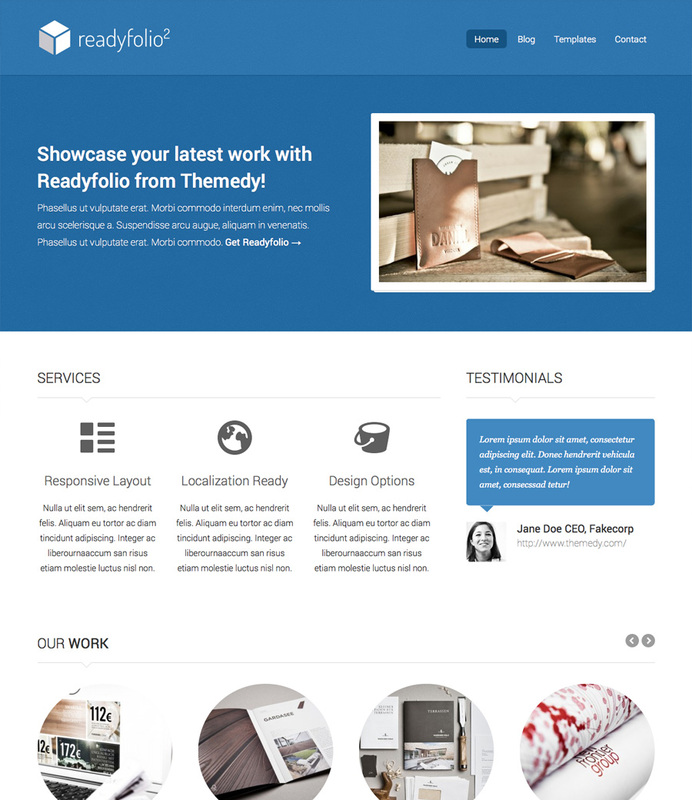 Frederik is a Genesis child theme, so it comes ready with six different color options, multiple sidebars, widgetized home page, flexible rotator, call to action boxes, feedburner integration, and author boxes for single or multiple bloggers. Alexandra is a kids WordPress theme designed for the Genesis Framework from StudioPress. It is an ideal child theme for childcare centers and daycares, preschools, and Montessori schools. 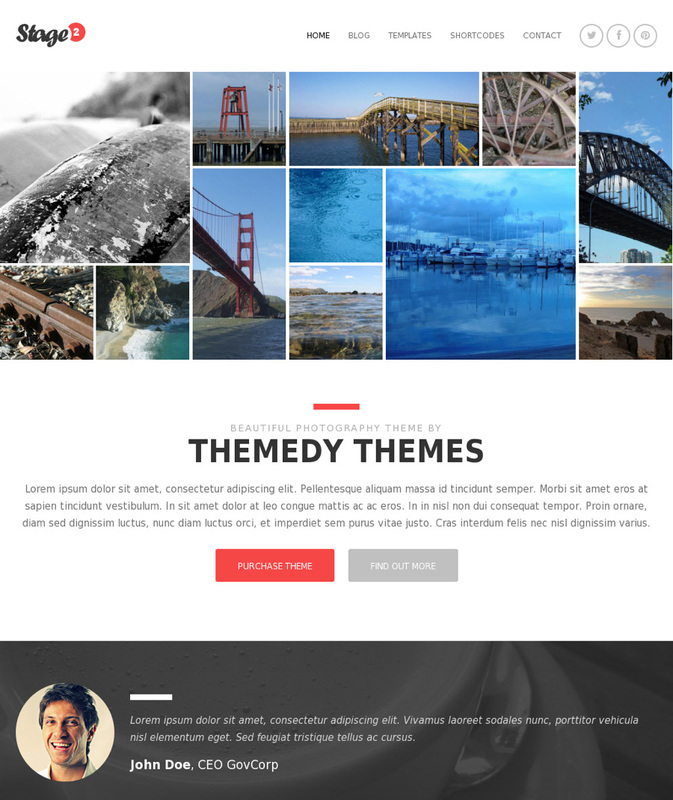 A theme with really attractive design with 3 templates and lots of other options. A true magazine style Genesis child theme. Mariah is a Genesis child theme for eCommerce based websites and blogs. Mariah features templates for a feminine home page, blog page, inner pages, and the WooCommerce shop and product page. Engrave is one of the best and simple Genesis child themes, Engrave is a great portfolio theme that will suits perfectly for Business and Portfolio websites. Versatile Theme has 11 very distinct color scheme’s to choose from, allowing you to customize your site created with Versatile Theme to your own personal taste. A great Genesis child theme for political bloggers or politicians who need an easy to use WordPress theme that is mobile friendly and responsive. Blink is a unique child theme that pushes the boundaries of both Genesis and Thesis. 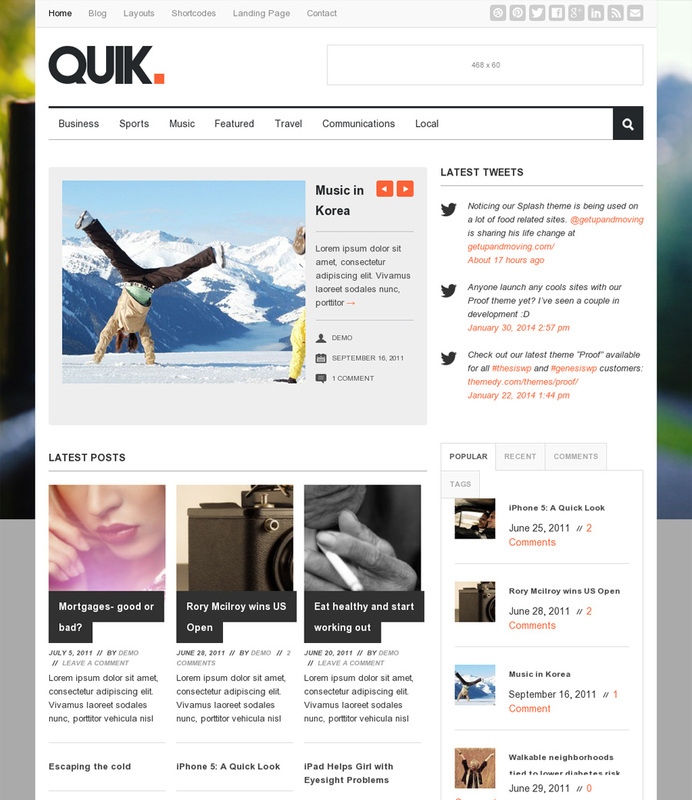 With its dynamic layout and creative look, Blink is perfect for any designer, photographer, blogger, or hobbyist. Tailor Made Theme has 10 color scheme’s to customize your site created with Tailor Made Theme to your own personal taste. Hans is a WordPress real estate theme for the Genesis Framework, which makes it an ideal child theme for real estate websites and agent blogs that require property listings and IDX integration. Strategy theme is simple but powerful Genesis child theme which comes with 17 color schemes to customize your site entirely to your own personal taste. Vintage Theme has 13 color schemes to customize your site created with Vintage Theme to your own personal taste. You can choose from 3 main layout options and multiple widgets to adjust our design just the way you like it. A nice looking Genesis child theme for those women looking for a “girly” or feminine blog template, while also seeking a sophisticated and sleek style. 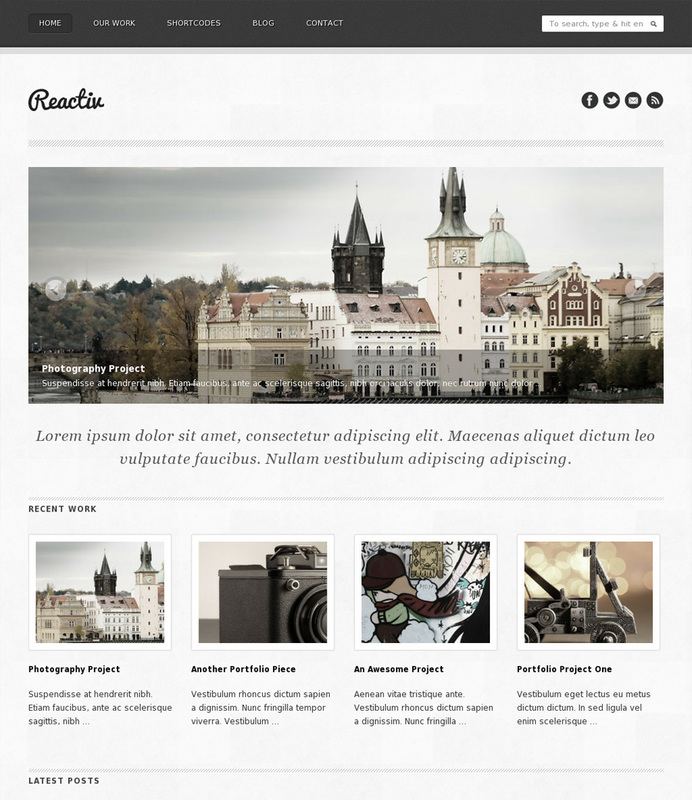 Rasmus is a business WordPress theme designed for the Genesis Framework. It is an ideal child theme for business websites with or without an integrated blog. Elsa is a nice Genesis child theme which offers multiple color options, a flexible slider, and comes ad ready. Clip Cart is a stylish, mobile responsive, modern e-Commerce child theme for the Genesis & Thesis frameworks. Clip Cart provides full shopping cart functionally via the built in support for the Cart66 or WooCommerce plugins (both paid and free versions) – you can create a powerful, full featured e-Commerce site in record time. A robust content-driven news site for Thesis and Genesis. Foxy News features nine new widgets and total control with our unique options menu. Impressive collection, personally spotted few themes that I wanna use for the next project. I love the genrate child theme. thanks for the list. Absolute magic! You must have put a lot of efforts Mr Das to make this list grand. Kudos! Learn the 6 plugins we used to grow our own traffic from 0 to 40,000 a month within a year.